This fantastic big rig by Firas Abu-Jaber evokes the classic sets of the Model Team series — sets like 5580 Highway Rig (1986) or 5571 Giant Truck (1996). 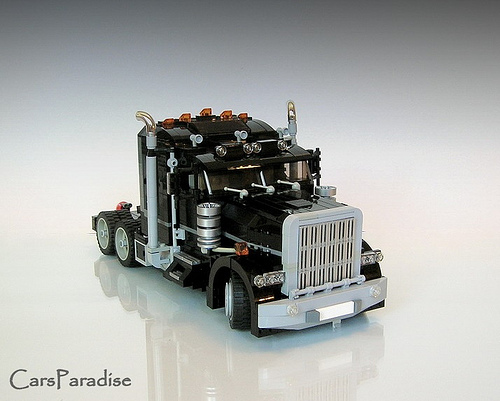 A LEGO big rig has never looked so realistic or so good. Congrats to Firas on getting some well-deserved noteriety. I’m constantly fascinated at the speed and quality of his MOCs, and even more so considering he just popped up in the past few months. Just beautiful.